Is one of the ways your horse communicates with you. However, the injuries it can cause makes it one of the most harmful behaviours your horse can exhibit. Stabling is essential for your horse. 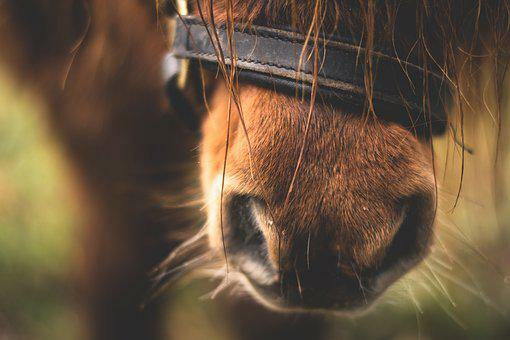 However, if you’ve noticed your horse has started kicking in his stable, you need to investigate straight away to find out whether something needs to be done. There are many reasons why horses stable kick. Some kick due to boredom, hunger, or an excess of energy. While others may be kicking to communicate that they are in pain. As a horse owner, it is your responsibility to find out what is wrong and stop your horse kicking stable walls. Many people ask why horses kick and one of the main reasons is it’s one of the ways your horse communicates. Just like pinned ears, bared teeth, or even facial expressions, kicking can speak volumes about a horse’s state of mind and physical well-being. However, knowing the reason why your horse is displaying this potentially dangerous behaviour can help you deal with the situation effectively. Below are some of the most common reasons for a horse kicking stable walls. One of the main reasons a horse kicks in their stable is because they feel threatened. Horse kicking is often used as a defence weapon, protecting a horse when he feels threatened. It may be that your horse feels threatened in his stable because he is stabled with other horses he does not get along with. Only when your horse has exhausted any escape or intimidation options will he express his threatened feeling by kicking. To stop your horse kicking stable walls because he feels threatened, the best way to address this problem is to help lessen his anxiety. This can be done by removing threatening horses from the environment and separating out those that are causing anxiety to your horse. This may require a little bit of reorganising in the stable environment, helping reduce any conflict and bullying. However, if your horse is able to avoid his tormentors, he will likely feel far less threatened and relax as a result. Sometimes, the reason horses kick is out of sheer playfulness. It’s likely you’ve seen horses frolicking in fields before, bucking, galloping, and kicking as they jump around. 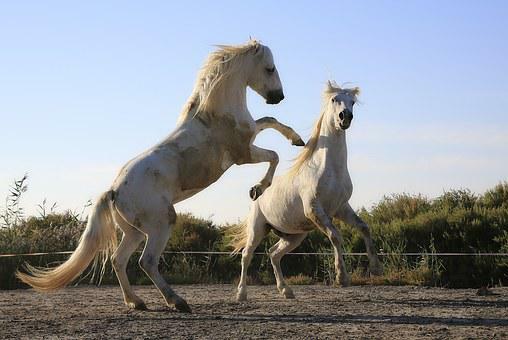 If kept stabled for long periods of time, a horse may start kicking because he feels playful. This type of kicking isn’t intended to cause any harm but may do so by accident. So, rather than trying to correct playful kicking, focus on what you can do to ensure your own safety around your horse. One of the best ways to stop your horse from playfully kicking in his stall is to change his feed time and exercise routine. 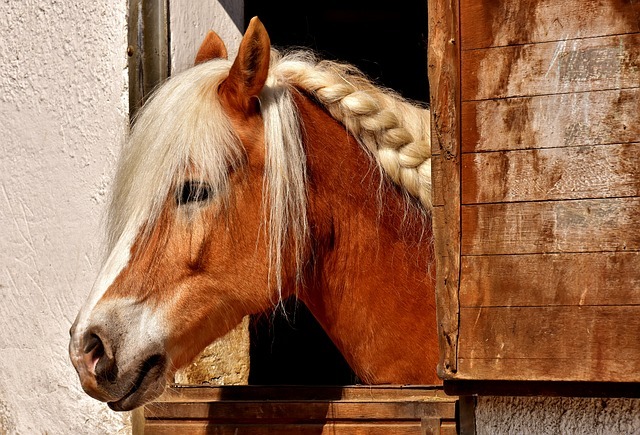 Often, horses playfully kick in their stables because they have a lot of pent-up energy. By lowering your horse’s intake of food slightly and providing him with more exercise, your horse may stop kicking on his own. Another reason your horse may be kicking in the stable is because he is in pain and he’s trying to communicate that with you. If you treat stall kicking as a behaviour problem without investigating the real cause, you could be doing more harm to your horse than good. You can recognise that your horse is kicking as a result of pain by observing his behaviour. A horse kicking because of pain doesn’t tend to exhibit any other behaviour traits, such as threatening or posture changes; he just kicks because he’s uncomfortable. Once you’ve relieved his pain, the kicking should stop. We all know what it’s like to have an impatient horse who kicks at the stall wall if you aren’t fast enough in delivering his feeding time or let him out into the pasture. You can recognise a horse kicking out of frustration by spotting some telling signs, such as: head flipping, lunging forward, rearing slightly, and pinned ears. There are many ways to deal with frustration kicks from horses. If your horse only kicks at the stable walls at mealtime, simply prioritising his feeding may help solve the problem. However, you may want to ignore frustration kicking if your horse isn’t putting himself or other horses at risk. When your horse starts kicking stable walls to tell you that he’s the boss, you’re in serious trouble. In the wild, horses kick as a last resort and as a way to enforce herd hierarchy. When a horse starts kicking the wall as a way to gain dominance over his human handler, it’s a sign that some big training changes are needed. A horse kicking to prove he’s the boss proves that he has learned somewhere that intimidation is the most effective ways to deal with people. Retraining a bossy kicker can be a very difficult job. You need to have plenty of time and patience to review the very basics of training and re-establish the basic ground rules and stable hierarchy. One of the most common reasons a horse kicks at their stable walls is not because they’re bored, it’s they want attention. If your horse is kicking his stall for attention, there are a number of considerations you need to make. How often is your horse turned out? Does he have things to do in his stable or other horses around him to communicate with? Are you giving him enough attention through activities like grooming? Take a moment to think about how you’re caring for your horse and whether you’re doing enough for him or not. If you horse is kicking the stable walls and he’s doing it for attention, there are a number of steps you can take to stop this behaviour. Ignoring your horse is the most effective method. As soon as he starts kicking his stable, walk away and out of sight. He will soon realise that he’s not going to get his own way if you don’t pay him any attention, despite his insistent kicking. Although there may be numerous reasons why your horse is kicking stable walls, and many methods to stop it, it is also important to help prevent injury. Whether your horse has been kicking his stable walls and door for a long time or he’s just started, not only does the constant noise get annoying but the likelihood of injury to your horse is significantly increased. So, below are some of the best ways you can protect your kicking horse from injury. I’ve written about rubber matting and the various benefits many times on this blog and it seems there’s nothing this material cannot improve! Padding the stable with rubber matting isn’t just a great way to reduce noise disturbance but is also a great way to reduce injury to your horse. Having the covering of a soft padding material like rubber matting over the stable doors, walls, and floor will help protect your horse while he’s kicking, significantly reducing the likelihood of an injury. Stall kicking can be extremely damaging, not only for your stable but also for your horse. A horse that repetitively and regularly kicks his stable walls can cause significant damage to his legs, causing problems such as fluid-filled swelling, chronic inflammation, and other serious injuries. So, it is essential that stall kicking is stopped as soon as possible. Even if it doesn’t seem serious at the time, it is important to stop it before it becomes a damaging habit. As you can see, there are many reasons why horses kick stable walls and there are also a number of ways you can stop it. If left unattended, kicking in the stable can cause serious damage to both the horse and the stable. So, it is important to use one or more of the methods mentioned above to try and stop this habit from worsening. You should also prioritise keeping your horse safe in the stable and you can learn how to do this here.